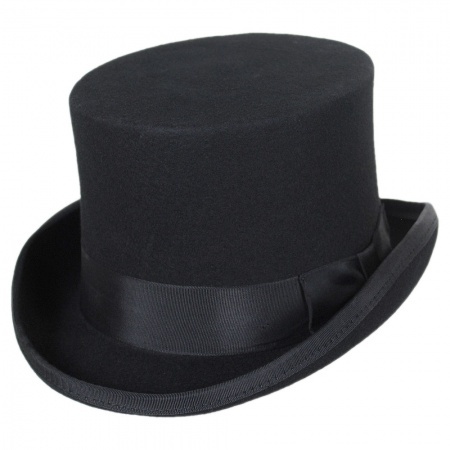 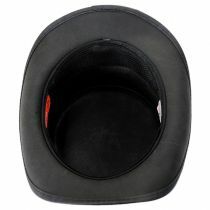 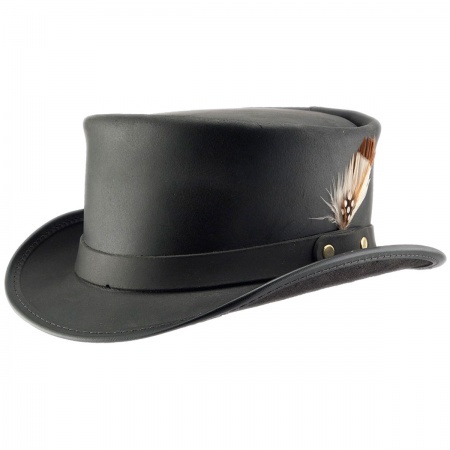 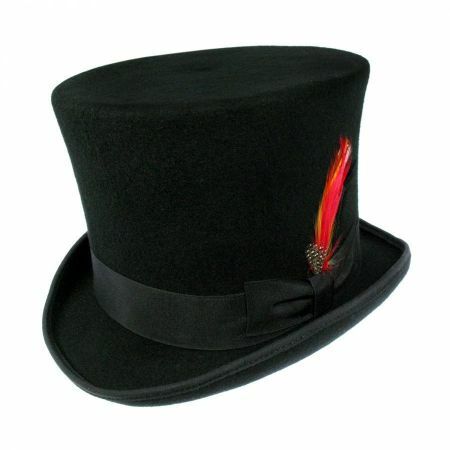 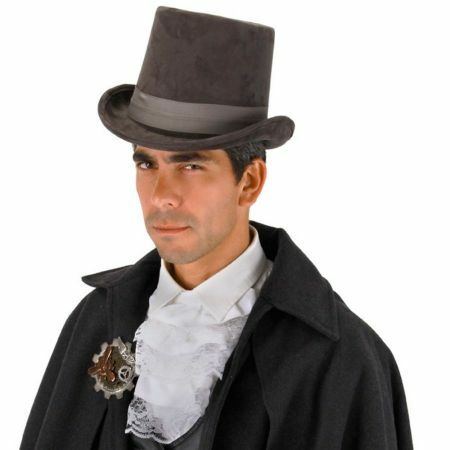 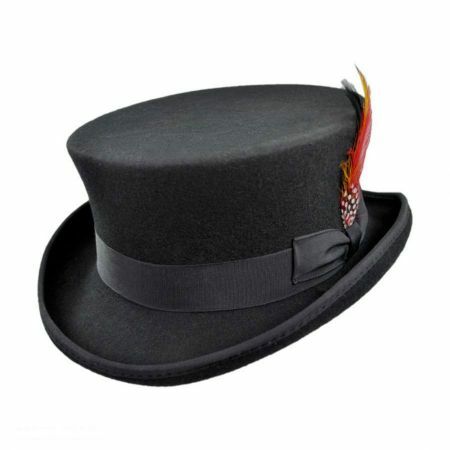 The Red Death Leather Top Hat by Head 'N Home is crafted of genuine leather raised and tanned right here in the USA. 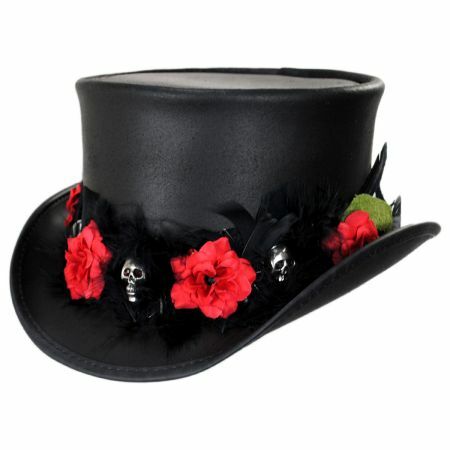 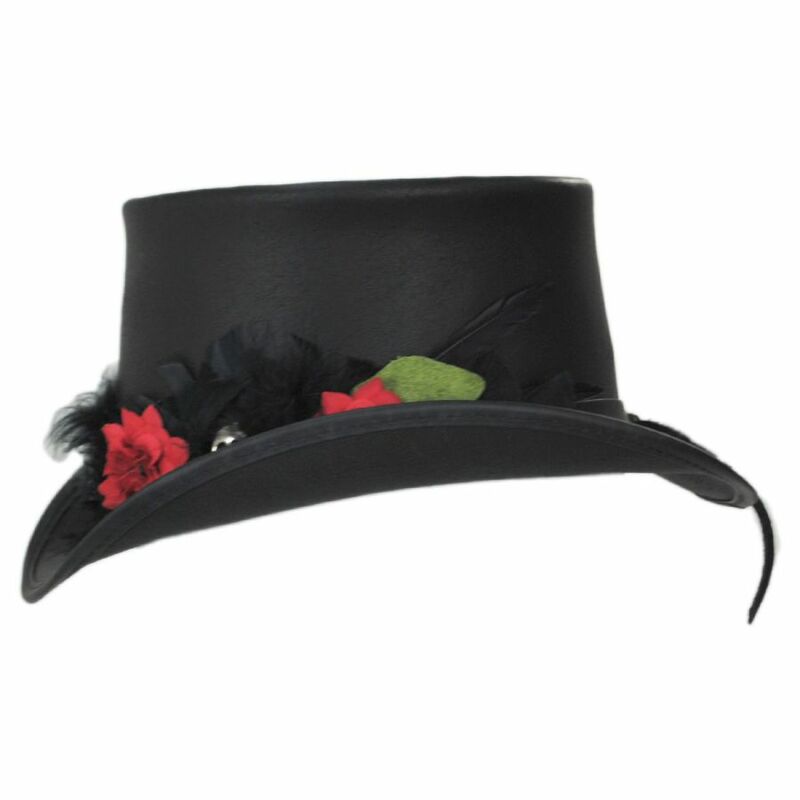 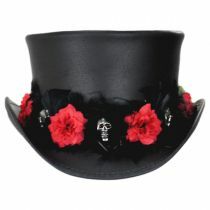 Its exclusive, hand-crafted design by Ruby Roxanne Designs features a striking skull, feather and rose hat band. As with all Head 'N Home hats, The Red Death includes their famous Perfect Fit Sizing System to achieve a perfect and comfortable fit.